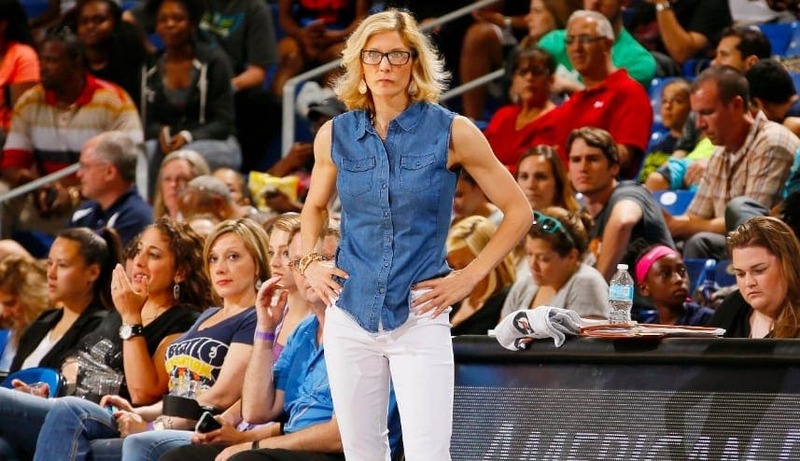 Will we ever see a female NBA head coach? Seeing that headline, many will probably wonder why an NBA franchise should hire a woman to the head coaching position. The question you should be asking instead, though, is: why shouldn’t it? Obviously, a woman has to be qualified for the position first. She shouldn’t be hired because she’s a woman. She should be a great coach – or at least someone with the potential to be one – who just so happens to be a woman. Think about it this way – there are only 30 head coach positions in the best basketball league in the world. And the turnover rate is incredible – as of today, two thirds of all NBA head coaches have held their jobs for three years or less. Obviously, there are anomalies like the San Antonio Spurs’ Gregg Popovich, who’s been in charge of the clipboard since 1996. Still, the vast majority are relative newbies. Need further proof there’s no proven formula as to what makes a good head coach? Nine of the league’s coaches – almost a full third – have been appointed since May, 2018. Of those nine men, four have never held a permanent head coach’s position before. In the grand scheme of things, stranger things have happened than a qualified woman being appointed head coach. After all, the Cleveland Cavaliers appointed David Blatt to the position despite him having had exactly zero American coaching experience – even at the assistant coach level! True, Blatt was a decorated veteran of the European scene, but he’d never worked in the U.S. before. But Blatt was still an American, who came up through the American college ranks, playing four years of college ball for Princeton. The Phoenix Suns’ current head coach, Igor Kokoškov, has no such background. He has paid his dues in several assistant coaching positions, but the native Serbian was the first NBA head coach to be born outside North America. These examples show that general managers from around the league are willing and able to think outside the box. So why not try on a qualified candidate, who’s also a woman? Becky Hammon is a good case in point. 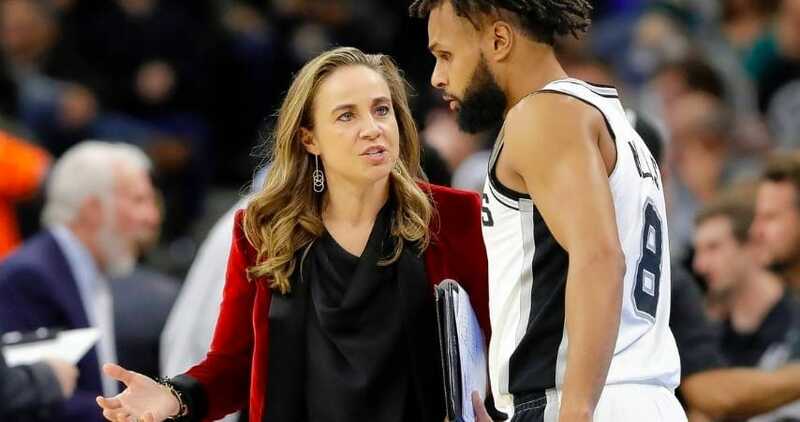 This past summer, Spurs assistant coach and six-time WNBA All Star Becky Hammon interviewed for the Milwaukee Bucks’ head coach opening, becoming the first woman in history to do so – after being the first woman to land an assistant coach’s position. Hammon and Pop first met during the 2012 London Olympics, when he coached Team USA men’s team and she played for Russia’s women’s team. They connected, and had a chance to speak about basketball, and Popovich was impressed. So impressed, in fact, that she was invited to sit in on Spurs practices and even coaches’ meetings, something that’s almost unheard of. Then, when a place near the table opened, Popovich brought her into the fold and appointed her his assistant coach, a position she’s been in since 2014. Everyone in the Spurs organization has had nothing but praise to heap on Hammon, 41. “She’s just a natural,” Pop said. Manu Ginobili added she’s committed, passionate, and smart, while Tony Parker compared her to Popovich himself, calling them both “great basketball minds.” She even coached the Spurs’ summer league team – and won a title. So why rule her out of the position of head coach? Judged on her merits alone, Hammon is almost certainly “qualified,” whatever that means these days. The time when Hammon gets that vaunted clipboard is near. It may take a couple more years, but it will happen. And that will shatter the glass ceiling forever. The next time a woman interviews for a head coaching job, no more eyebrows will be raised. The next time a woman actually lands the job – it’ll be just another hire. And that’s the way it’s supposed to be. In the professional league with the least job security in the United States, executives have tried literally everything else – why not women?